Hekab Be Biblioteca ~ Open Road Community Library: Matching challenge for Summer program fundraiser! Hekab Be is a community center that serves locals and visitors alike. Our work is solely supported by the generous donations of family, friends and visitors. Matching challenge for Summer program fundraiser! to match every donation made between now and June 24th. 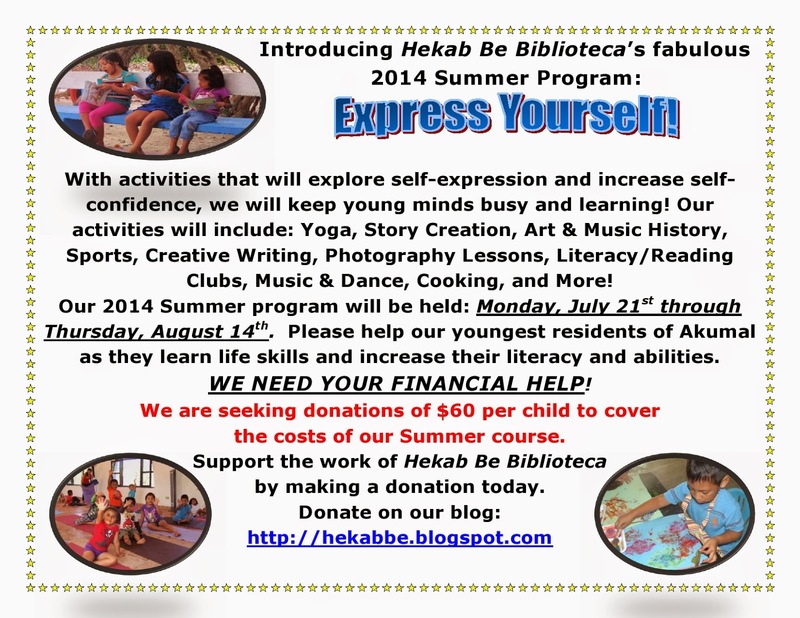 Our matching donor says, "I believe in the Summer Program at Hekab Be Library because it helps to prevent the 'summer slip' and also keeps the children of our beloved Akumal learning and having fun in a safe place. It is a good investment for me as I care deeply about the people who have made and continue to make Akumal the special place that it is. The children are our future!" Please donate today, and help us meet this challenge and fund our Summer school and on-going programming for kids!